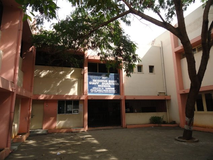 For Pre KG & Montessori Environment I, the child must have completed 2 years by 31st December. For U.K.G & Montessori Environment III, the child must have completed 4 years by 31st December. 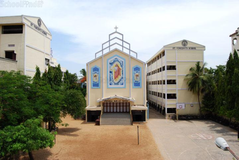 Admission is based on the performance in the entrance test. However, admission shall primarily depend on the availability of seats. Form will not be accepted without these documents. Kindly avoid further requests. Duly filled in Application form should be submitted within 3 days of collecting the form. 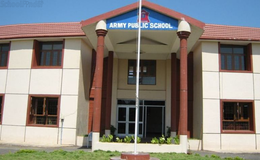 1.A Recent Passport Size Photograph.2.Copy Of Birth Certificate3.Copy Of Parent's Employment ID Card /Business Card.4.Copy Of Residential Proof.5.Current Year's First Term Report Card /Mark Statement (Applicable For Classes I To XII).6.Current Year's First Term Report Card /Mark Statement (Applicable For Classes I To XII)..Copy Of Passport, Visa/PIO/OCI (Applicable For NRIs).8.Certificates Of Achievement In Sports In District/ National Level (if Applicable).9.Copy Of Medical Certificate / Doctor's Prescription (in Case Of Chronic Medical Ailments Which The School Should Know).10.Original School Leaving Certificate/Transfer Certificate Should Be Submitted Before Commencement Of Classes In April For Classes I To XII. 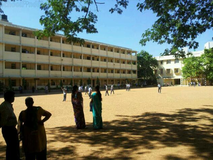 Best schools in Chennai, Best schools in Thirumazhisai, Best CBSE schools in Chennai, Best CBSE schools in Thirumazhisai, Best IB schools in Chennai, Best IB schools in Thirumazhisai, Best IGCSE schools in Chennai, Best IGCSE schools in Thirumazhisai, Best Coed schools in Chennai, Best Coed schools in Thirumazhisai, Best English medium schools in Chennai, Best English medium schools in Thirumazhisai.